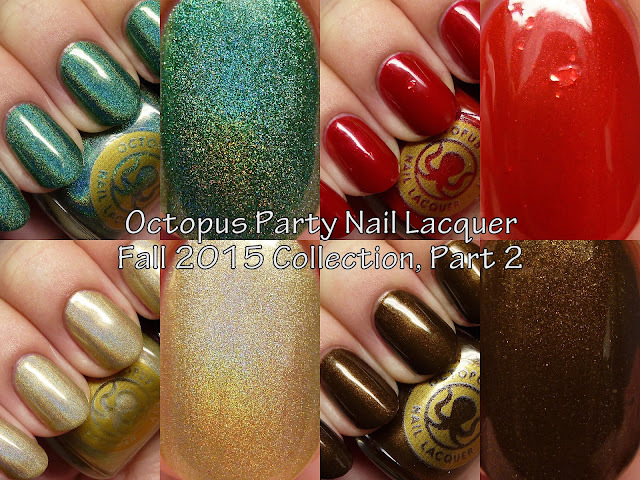 Octopus Party Nail Lacquer is releasing Part 2 of the Fall 2015 Collection on Saturday, October 31 at midnight EDT! And the good news is that they are a pre-order. So yo, you can pick them up almost right now! The pre-order will run through 3PM EDT. There will also be limited re-releases of Part 1 polishes But Not in Vein, Fenrir, and Indikon, and pre-order of Metaphysics. 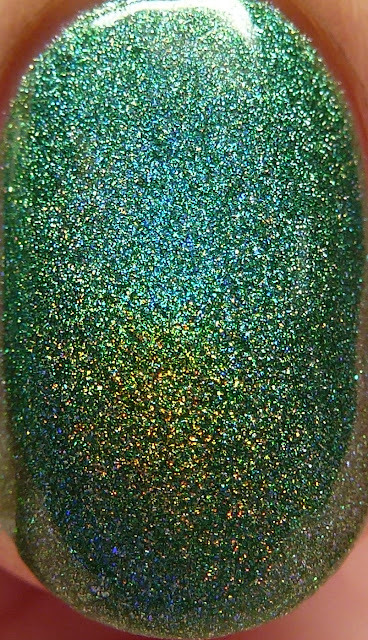 Polishes also being released from other collections are Universal Loner (pre-order), EVIL LIVE! (pre-order), No Wane (pre-order), and Rake It Or Leave It (small batch). Let's check out the newbies after the break! First, formula notes - all were typical for OPNL. Smooth, quick-drying, great formulas. No issues here! 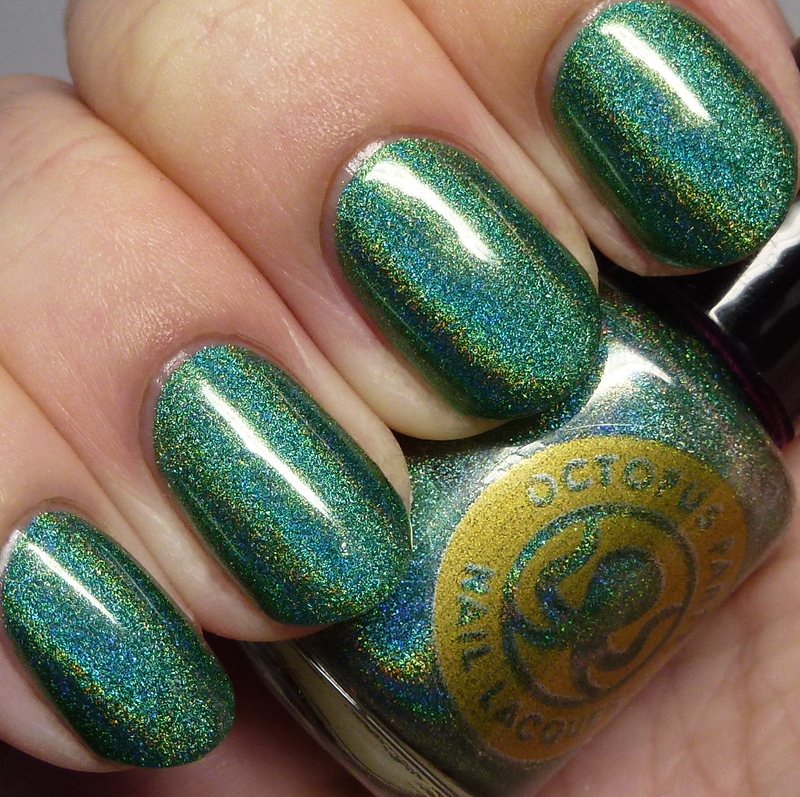 Clover Shield is a vibrant Amazon green linear holo. 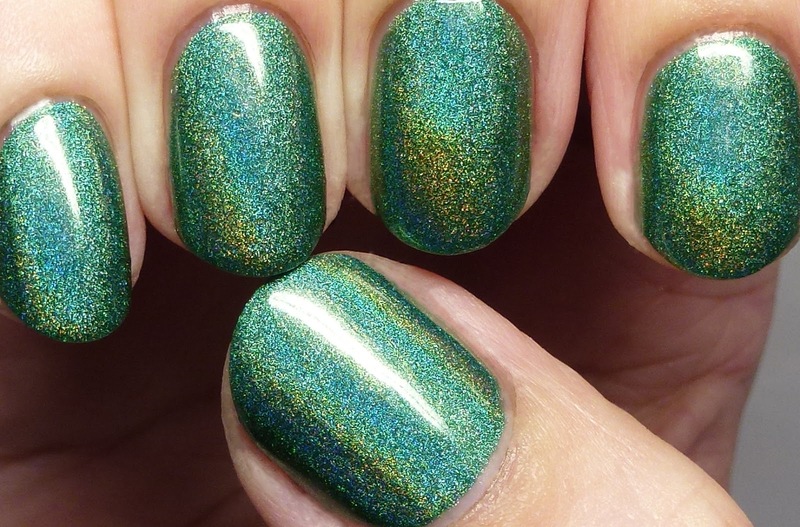 This is shown in three thin coats, though two would do. 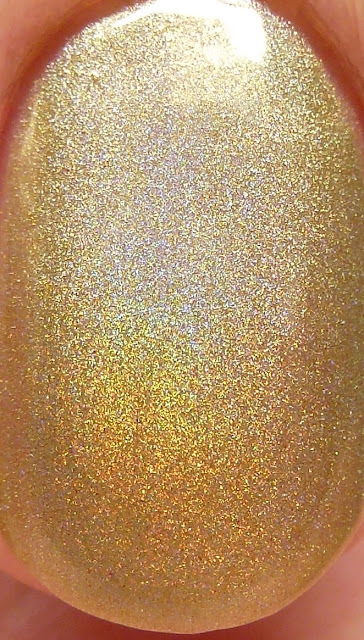 Little Miss 1565 is a light brick red jelly with red shimmer and gold/green duochrome flakes. 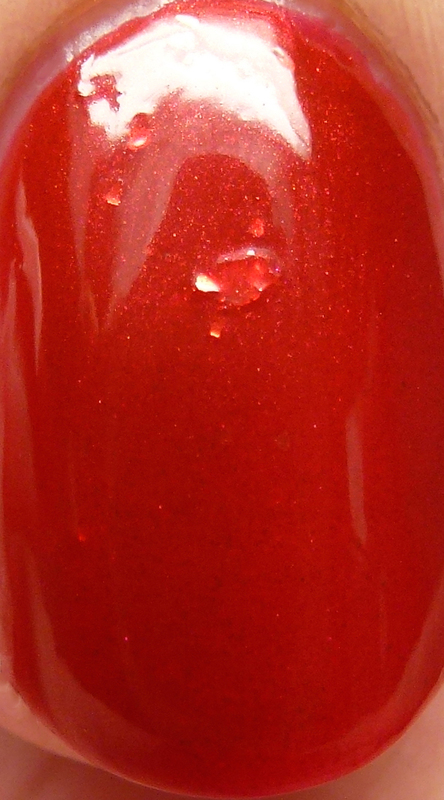 The flakes flash red due to the base color. It is so much more glowing and stunning in person! 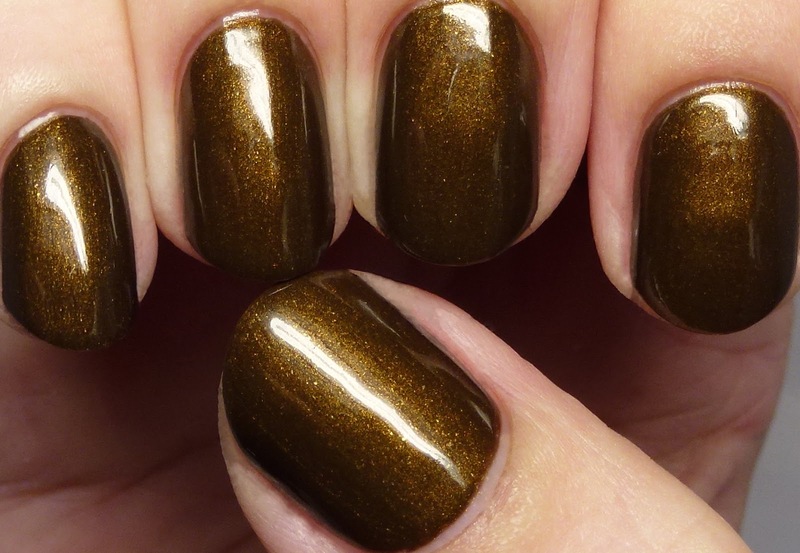 This is shown with three thin coats but two are enough. The Ruins is a linear pale gold jelly holo. 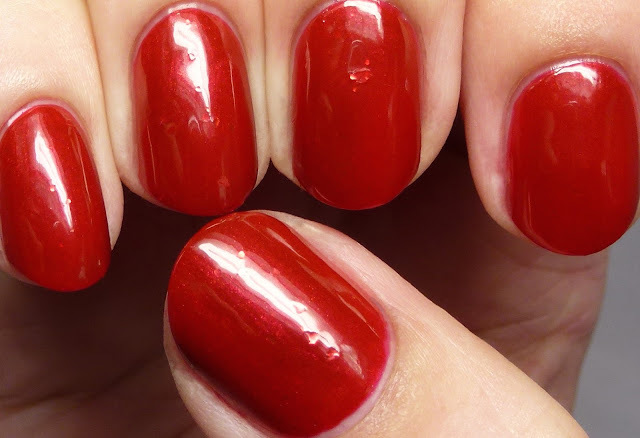 It is shown in four thin coats but three would be enough for most. It has a very fine holo shimmer, so brush strokes show a tiny bit. 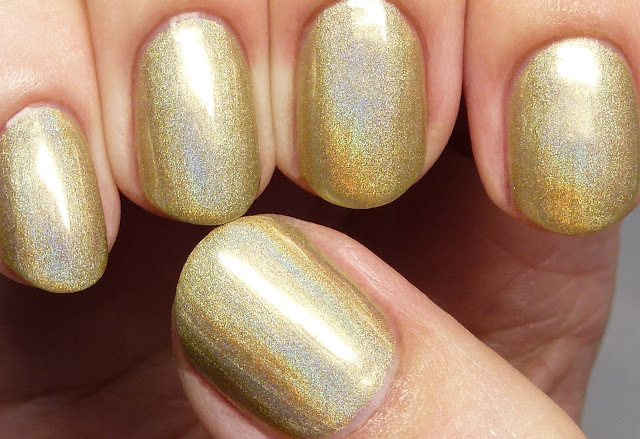 It is quite different from Body Electric, another pale gold OPNL released, since that one is packed with shimmers. Finally Will You Bury Me? 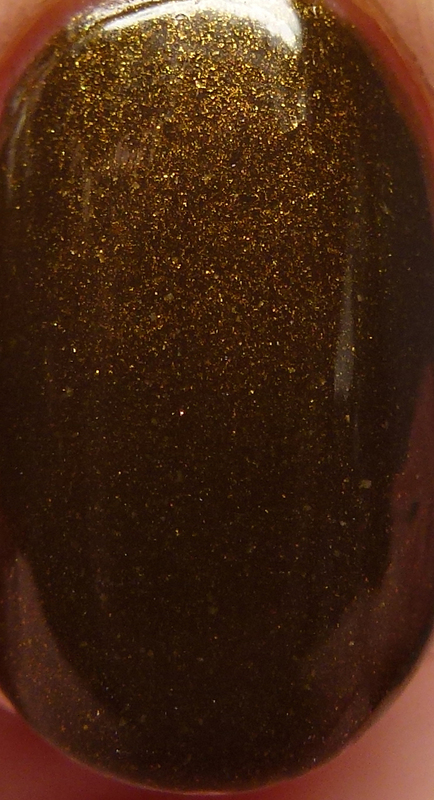 has gold shimmers in a Van Dyke brown base. 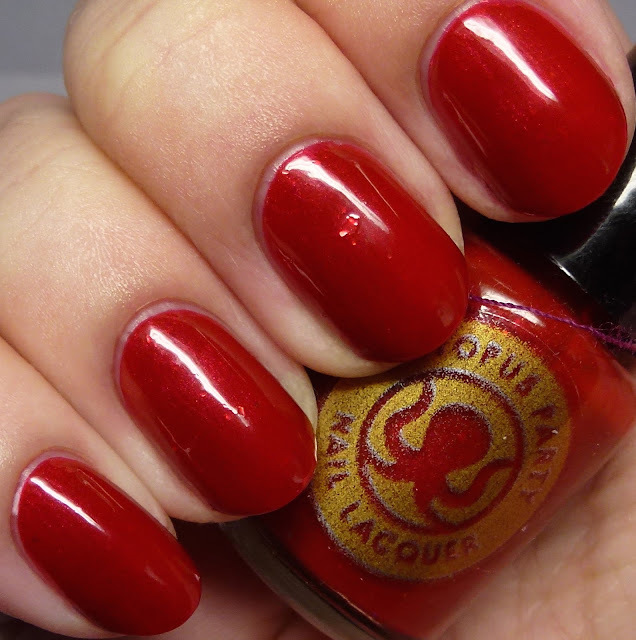 This is another polish that reminds me of something a high-end designer brand would release - so sophisticated and tasteful! 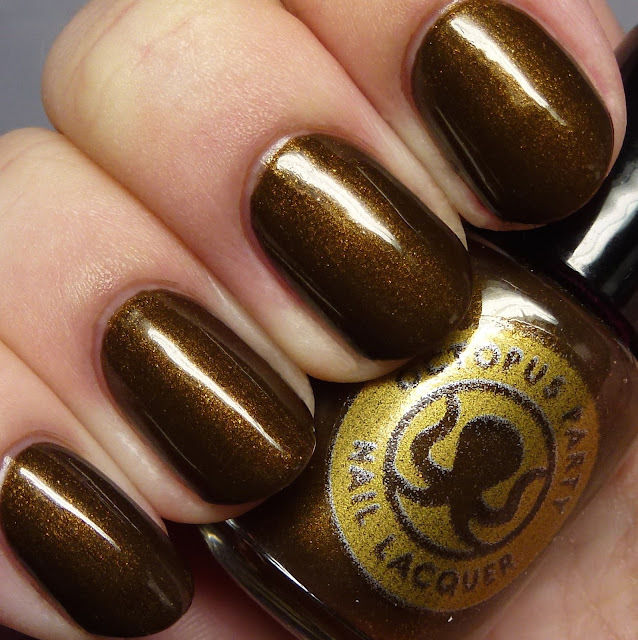 A must for brown polish lovers. Again, the sale is about to start, so go get 'em, ladies!